For many tradesmen and other workers in the trades and services industry, there will be a point in your career when you decide to make the switch from being an employee to a subcontractor. 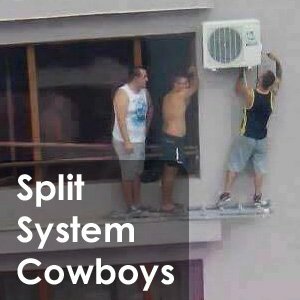 Becoming a subcontractor can happen in different ways. Some workers will simply switch from being an employee to a subbie with the same business, whilst others will start subcontracting to various different businesses. When switching to subcontracting there are a few decisions that will need to be made. You need to decide on your own business structure, which will in turn impact on your tax affairs and other financial matters, as well as other responsibilities such as your subcontractors insurance and superannuation. In this guide we will take a look at the steps involved in going from being an employee to a subcontractor. Once you’ve decided to become a subcontractor you will need to work out which business structure will be best for you. Many subcontractors, especially when it comes to tradesmen, operate as sole traders. As a sole trader there is no separation between your business and personal finances when it comes to taxation. As a sole trader you will have to apply for an Australian Business Number (ABN) to be quoted on your invoices. You may also have to register for Goods and Services Tax (GST) if you expect your annual revenue to exceed a certain figure, which currently stands at $75,000. Sole traders have a single Tax File Number (TFN) and lodge a single tax return which covers your personal and business affairs. Essentially you and the business are a single entity. There are a few other options in between, however the second main option for your subcontracting work is to operate as a Pty Ltd company. With a company you are creating another separate entity to take care of all matter relating to your business. There isn’t necessarily one structure which is better than the other, however there certainly are advantages and disadvantages to each for the average tradesmen or subcontractor. Being a sole trader is cheaper in terms of setup and ongoing costs, and also takes up a lot less time in terms of administration and paperwork. A company structure is more complex and expensive, however it does give you and your accountant more flexibility in terms of structuring and paying tax. Another major concern is liability. As a sole trader your business and personal matters are linked, so if something goes wrong in your business, it could flow into your personal matters. For example if you were sued for any reason or couldn’t pay your business debts, all of your personal assets could potentially be up for grabs. With a company structure your personal and business affairs are completely separated. If your business is found liable for something financially or you run into other financial difficulties, your personal assets are protected and cannot be touched. This is a major attraction for many tradesmen who could potentially be exposed to serious risks in their work. As an employee on wages you are entitled to sick pay, holiday pay and even superannuation contributions, but as a subcontractor you will become responsible for all of these costs yourself. You will also be responsible for taking care of your own tax affairs. As a subcontractor you only get paid for the work you do, so it is important to put money aside for holidays and sick days, as no one else will be paying you for this time. Is it also important to keep on top of your superannuation responsibilities and income tax. By neglecting your super or tax matters you could find yourself being hit with financial penalties from the Australian Taxation Office. 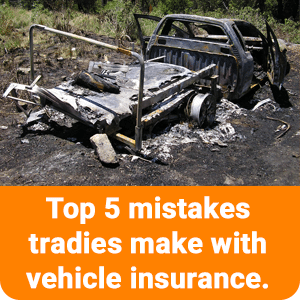 The final consideration we will look at is subcontractors insurance. As an employee most of your insurance matters are taken care of, but as a subcontractor you are responsible for your own insurance. Most subcontractors, and especially tradesmen, will require public liability insurance. This type of insurance covers you for any property damage or personal injury that you cause through your work. Many tradesmen will not be allowed to enter a worksite without public liability cover. Another form of cover that should be considered by subbies is income protection insurance. This cover is optional for many subcontractors, however some workplaces and worksites do make income protection mandatory. Income protection is still important for employees on wages, but for subcontractors it is even more important. As an employee you are entitled to sick leave and even workers compensation in many cases, however as a subcontractor you are really on your own. Whether it’s a month off the tools or years away from work due to injury or illness, income protection is vital for subcontractors, and even more so for a tradesman who is exposed to major risks on the worksite. If you are in the process of becoming a subcontractor or even if you’re just thinking about it, there are a few people that you can turn to for assistance. One of the first places to start is to talk other subbies in your industry to find out about their experiences and to see if they have any advice of tips for you. As you continue down the path to becoming a subcontractor you will also have to speak with a tax accountant regarding your business structure and taxation matters, and with an insurance broker to work out which types of insurance you will need. 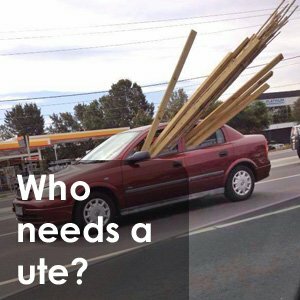 If you are a tradesman there are specific types of insurance that you will require depending on your trade and even the state you are working in. To be sure of getting the right cover in place we recommend dealing with a firm that specialises in trade insurance. Becoming a subcontractor can definitely be financially rewarding for tradesmen and other workers, but make sure you do your homework first to ensure the transition runs smoothly. Author: Shane Moore. Last updated: 20/08/2018. 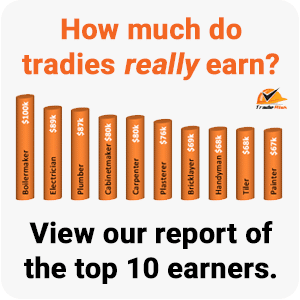 How Much do Tradies Really Earn?